How would you best describe the culture of the organisation? What does a typical day look like for a psychology graduate in the organisation? Describe the roles psychology graduates have taken in your organisation. What edge does a psychology graduate have over other graduates from other areas within the business? What can graduates expect from the recruitment process? What makes an applicant stand out in their application and interview process? A day at Hudson can be hugely varied. A typical day one week might include running an assessment centre in the morning, making candidate introductory calls for career transition projects in the afternoon. A typical day the following week might include attending a client review meeting in morning, participating in a small project team to design a client-marketing event in early afternoon, and doing some data analysis for a high potential program in the late afternoon. What can gradutes expect from the recruitment process? 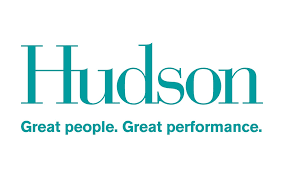 To apply for a role at Hudson, graduates can either respond directly to advertised opportunities or proactively approach Careers@Hudson with their resume and cover letter. We are always looking for talented people and you never know when an opportunity might pop up. All applicants go through the very same process we would recommend our clients follow. Our recruitment includes psychometric assessment and (usually) two interviews, including a competency-based interview, followed by reference checking. We provide thorough feedback on the entire process to every applicant. Psychology graduates generally come to Hudson through our Talent Management business, as Associate Consultants (AC). As an AC their role would be to support senior team members with a variety of different client projects and tasks. These could include coordinating assessment centres or collaborating on the design and delivery of leadership development solutions, and implementing people change and transition programs.